Japan’s territorial conquests appeared to signal its triumph over Europe’s colonial powers in the Far East. The United States, however, was now on the offensive and won crucial strategic victories at sea over the Japanese. These had serious repercussions for Japan’s ability to sustain both its domestic and overseas power. 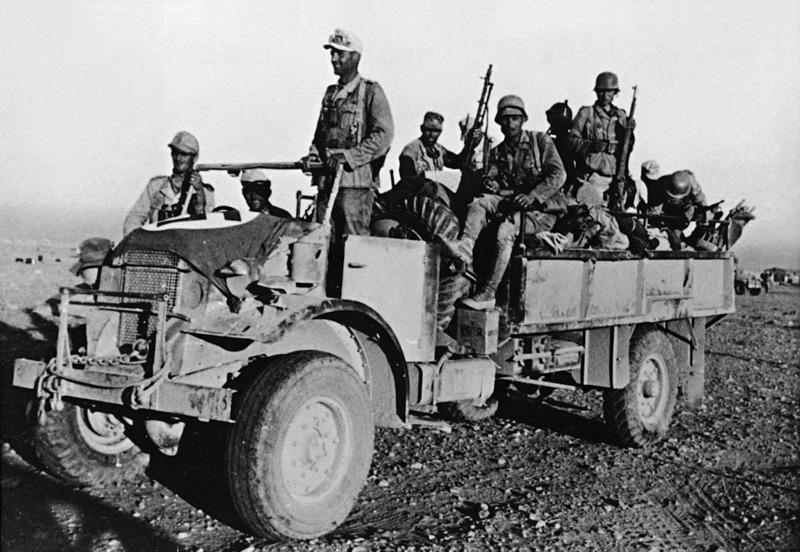 In North Africa and on the Eastern Front, Axis offensives, although initially successful, were halted and then defeated by a series of Allied counterattacks. Control of the sea-lanes continued to be a crucial factor in the war. At the Arcadia Conference in Washington, 26 Allied countries sign the United Nations Declaration, pledging to follow the Atlantic Charter principles. These include an agreement to direct their ‘full resources’ against the three Axis nations and not to make any separate peace agreements or treaties. This is a key development in the formation of the United Nations Organization. US and Filipino forces under General Douglas MacArthur prepare defensive positions on the Bataan Peninsula and the island of Corregidor as Manila falls. MacArthur realizes that Japan has air and sea superiority. He also knows that no reinforcements will be sent. His troops begin a desperate resistance against Japanese attacks across the mountainous peninsula, which begin on the 9th. For several months the 80,000 troops will resist the Japanese, despite suffering from tropical diseases and being short of supplies. Following the Arcadia Conference, British General Sir Archibald Wavell takes charge of the new American, British, Dutch, and Australian (ABDA) command. He is responsible for holding the southwest Pacific. Chinese Nationalist leader Chiang Kai-shek is made commander-in-chief of the Allied forces in his country. Joseph Stalin orders a general offensive against the German invaders, despite warnings from General Georgi Zhukov, the Western Front commander, that the Soviet Union lacks the resources for an attack on four Fronts (Leningrad, Moscow, Ukraine, and Crimea). Zhukov advocates a concentrated attack against Army Group Center, which is threatening Moscow. However, the general offensive initially makes considerable inroads and captures trains, food, and munitions. German forces offer stiff resistance and are ordered to hold their positions. 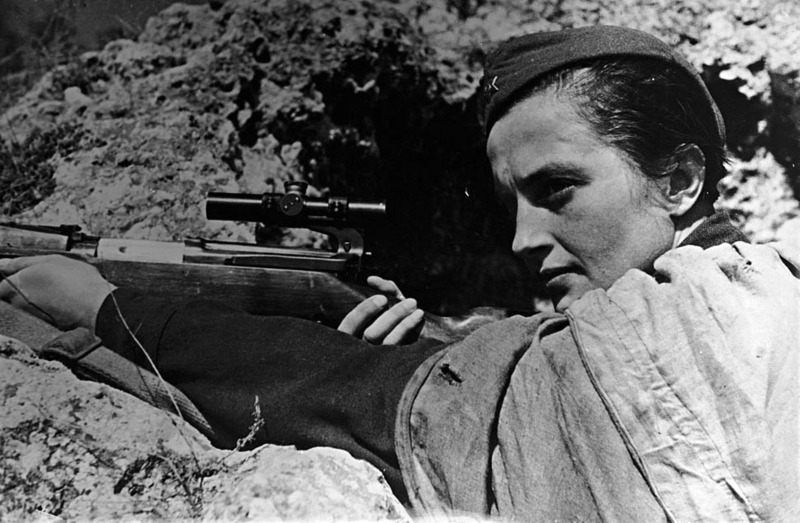 They set up defensive areas (‘Hedgehogs’) that frustrate the Red Army’s attacks. Following the recent landing of Japanese troops on the northeast coast, British, Indian, and Australian forces are now retreating southward toward Singapore, unable to mount any meaningful defense against the Japanese. The British have underestimated the Japanese, who are well trained and equipped. 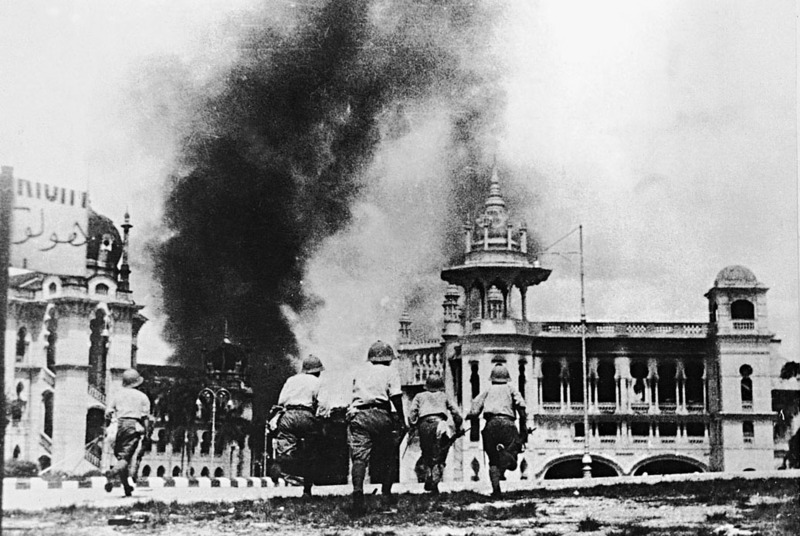 Kuala Lumpur, the capital, falls to the Japanese on the 12th. The Battle of the Valdai Hills begins in the Moscow sector. During the 12-day battle Soviet troops make a 75-mile (120-km) penetration of the German lines that captures nine towns between Smolensk and Lake Ilmen. A Japanese force, under General Tomoyuki Yamashita and Admiral Takahashi, begins attacking the Dutch East Indies to secure the oil assets of this island-chain. The Japanese Eastern Force lands on Celebes and Amboina before taking Bali, Timor, and east Java. The Central Force lands at Tarakan and aims to take Borneo. The Western Force moves from Indochina to attack Sumatra and Java. The remaining Allied troops under ABDA command in the region, including local forces of doubtful loyalty, attempt to resist the Japanese onslaught. General Dusan Simovic resigns as prime minister of the Yugoslavian government-in-exile. Professor Yovanovic replaces him. General Erwin Rommel agrees to a plan proposed by his officers to counterattack the Allies. British naval strength in the Mediterranean has been eroded, which has enabled new German supplies to arrive. At the same time, Allied forces have suffered the departure of the 7th Armored Brigade plus two Australian divisions, which have been sent to the Far East. The Japanese Fifteenth Army’s two reinforced divisions, plus air support, move northwestward into Burma from neighboring Thailand. A small group under Burmese nationalist Aung Sang supports Japan and encourages uprisings. British, Burmese, and Indian troops around the town of Moulmein unsuccessfully engage the invaders and withdraw. Already in the previous month the Japanese have taken a key southern air base at Mergui, forming part of the air route between India and Malaya, which they have now blocked. Such airfields are then used for bombing missions. Burma has the only viable supply route to sustain the Chinese fight against Japan. The Allied possession of Burma also keeps India’s northeast region secure from attack. At a London meeting, the Allies agree to punish Axis leaders responsible for war crimes. Germany’s U-boats launch attacks, code-named Operation Drum Roll, on shipping off the east coast of the United States. Approximately 20 ships are sunk in the first month of operations as a result of the US Navy’s failure to take proper antisubmarine measures, despite British warnings. U-boats begin hunting in the Caribbean the following month. Field Marshal Walther von Reichenau, commander of the German Army Group South on the Eastern Front, dies in a plane crash. Field Marshal Fedor von Bock replaces him on the 19th. Adolf Hitler removes Field Marshal Wilhelm von Leeb and replaces him with General George von Küchler as Army Group North’s commander. Since December, the Führer has removed over 30 senior officers, including two army group and two panzer group commanders, due to his impatience with their constant appeals to make withdrawals in the face of Soviet offensives. Donald Nelson becomes head of the new centralized War Production Board. The Axis garrison of Halfaya, besieged throughout the British Operation Crusader, finally falls and 5500 Germans and Italians are captured. U-boats make their first attack on an Allied Arctic convoy. U-454 sinks the destroyer Matabele and a merchant ship from convoy PQ-8. Soviet South and Southwest Front forces, under Marshal Semyon Timoshenko, make an attack aiming to cross the Donets River and then swing south toward the Sea of Azov to trap units of the German Sixth and Seventeenth Armies. The Donets River is crossed by the 24th, but the Soviet advance is halted by the 27th. At the Wannsee Conference, Berlin, deputy head of the SS Reinhard Heydrich reveals his plans for the ‘Final Solution’ to the so-called ‘Jewish problem.’ Heydrich receives permission to begin deporting all Jews in German-controlled areas to Eastern Europe to face either forced labor or extermination. The killing of Jews in Eastern Europe is already commonplace. Execution by shooting, however, is proving inefficient and a strain for the troops engaged. A more efficient way of killing using poison gas will soon become widespread. In Japan’s ongoing offensive against Allied possessions in the Far East, four carriers begin air strikes on Rabaul, New Britain (soon to become a major Japanese naval base), and two submarines shell Midway Island. US and Australian warships sink a Japanese submarine off Darwin. Japanese amphibious landings are made on Borneo, New Ireland, and the Solomons on the 23rd. General Erwin Rommel begins his second desert offensive in North Africa, moving from El Aghelia to Agedabia on the 22nd. The British Eighth Army is caught unawares and the Germans capitalize on this by driving it back. Benghazi falls on the 29th. 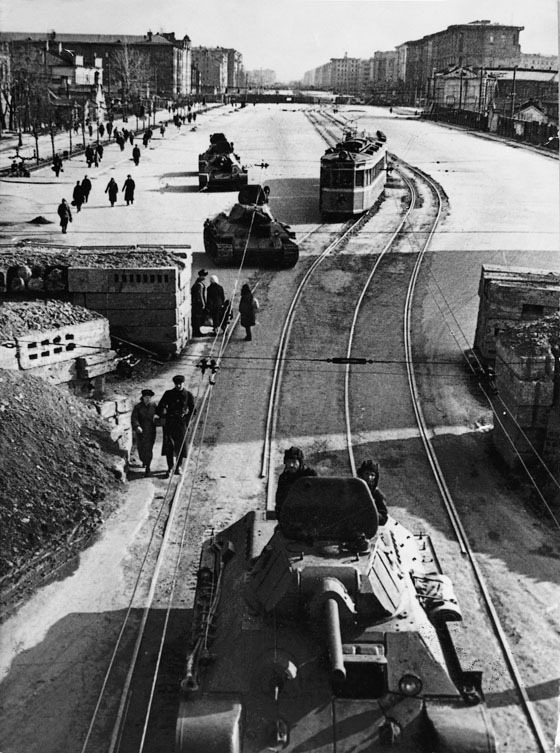 The besieged city of Leningrad evacuates 440,000 citizens over 50 days. Thousands are dying of starvation, typhus, and other diseases due to inadequate supplies reaching the city and the German shelling and bombing. US and Filipino forces on Bataan begin withdrawing to a line running from Bagac in the east to Orion in the west. At the Battle of Macassar Strait, four US destroyers, Dutch bombers, and a submarine attack a Japanese convoy off Borneo. Four Japanese transports are lost. The government declares war on Britain and the United States. The first US troop convoy of the war reaches Britain. Several Japanese troopships off Malaya are struck by 68 British aircraft, of which 13 are lost.That night, the British increase their attacks. The destroyer Thanet and the Australian destroyer Vampire are sunk while attacking the Japanese convoy. Major General Millard Harmon succeeds General Carl Spaatz as United States Army Air Force chief-of-staff. Spaatz takes over the Air Force Combat Command. Retreating British and Commonwealth troops cross the Johore Strait, separating Singapore from the mainland, and partly destroy the connecting causeway. They abandon the rest of the Malayan Peninsula, where mobile Japanese units have constantly outwitted them. Singapore is designed to repel a naval attack. Its great guns have no suitable shells for bombarding land forces as the British believe that a land invasion through dense jungle is impossible, although the RAF has asked for more aircraft to meet a land attack from the north.